Y necklace is the new in. It is lengthy, classy, and sophisticated when it comes to their overall look and design. What makes this necklace appeal to most women is its elegance and style, which can be worn both dress in or out depending on the occasion. Depending on the material and quality used, this kind of necklace can be worn casually or extravagantly. Let’s take a look at some of the best selling Y shaped necklaces currently sold in the market and find the qualities that make them unique and desirable. Beautifully crafted, this Sterling Silver Y Droplet Necklace is elegantly simple. It showcases a total chain length of 16 inches along with a diamond stone and pendant made of zirconia crystal. To make the necklace more radiant looking, its silver chain is plated and finished with rhodium materials. The necklace is classically elegant, which appeals to minimalists. 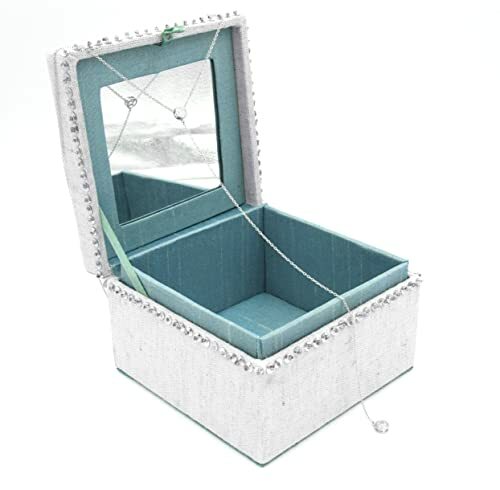 Encased in a jewelry box, it can be given out as a form of a gift. This jewelry comes with a stunning rope design, making it unique compared to other Y necklaces. It sports a pretty lengthy 31.25-inch snake chain with an adjustable slider stopper. The elegant necklace is rose and rhodium plated. To add up to its even classy and smart look, diamonds adorn its slider stopper and round-shaped pendants. It is also available in two colors for more choice. If you are into beaded jewelry, then this piece of item is capable of matching your taste. 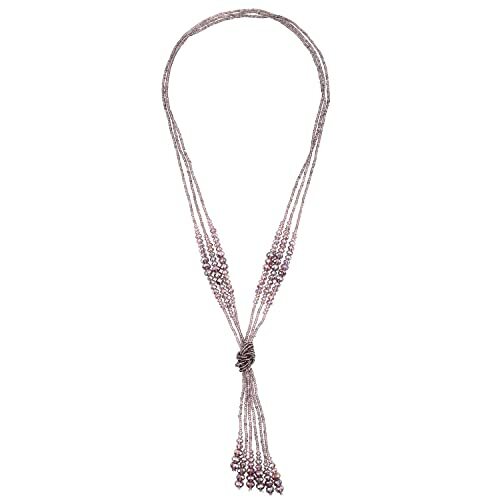 The D EXCEED Beaded Y Necklace comes with sparkly glass beads handcrafted to depict a vintage appeal. It is 28-inches long and comes with an adjustable tasseled bottom that is 5-inches in length. The necklace comes with 3 strands of small to medium-sized beads to create a layered style. This handmade, well-crafted Y shaped necklace comes with 7 real stones known to stimulate the chakra for healing and protection. 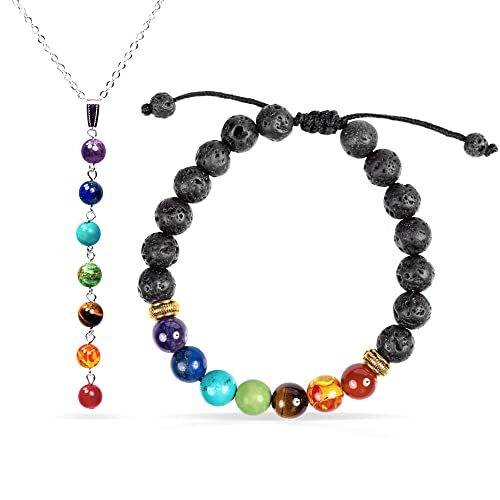 Created by Jewelry Yoga, this item is composed of different stones adorned as pendants. These are the agate, amethyst, lazurite, tiger eye, turquoise, amber, and the green king stone. Overall, the necklace length is 15.7 inches. For yoga enthusiasts and those who are into traditional healing, this necklace makes the perfect fit. You are in for a pearly treat with this beautiful HinsonGayle Cleopatra Y Necklace. The necklace is composed of 6 strands of freshwater cultured pearls, linked together in the middle with a reinforced shell. The product’s length is 35 inches long, making it quite lengthy enough for an ordinary necklace. It can also be worn as a belt. The necklace creates a statement of glamour and luxury. Because of its length, it can be worn in a variety of styles and designs. If you want something which comes with a twist, then this vintage necklace does the trick. 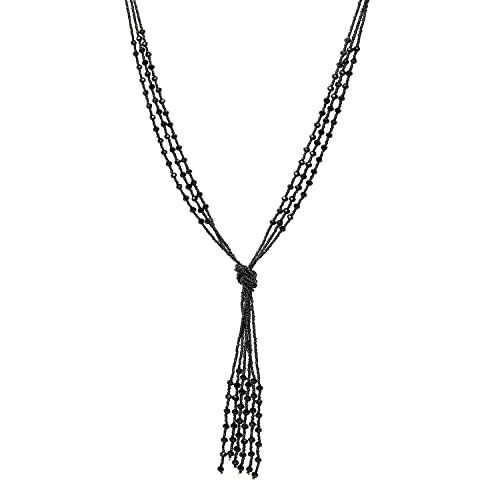 The Zhenhui Long Black Beaded Y Necklace comes with a tassel pendant. 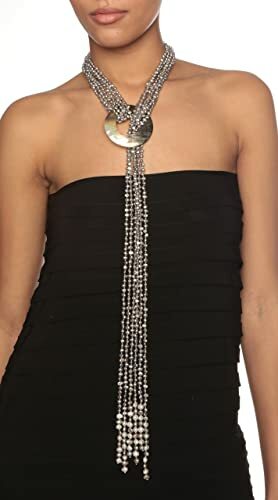 With its lengthy 56-inch chain, it can be used for both dress in and dress out occasion. The necklace is composed of handcrafted black beads, linked and grouped together into three strands. These strands need to be tied together in the center depending on length preference. Surprisingly good, the beads are sparkly and overall, the item creates a rustic appeal that complements vintage occasions very well. Simple yet classy best describes this gold Zealmer Metal Ring Y Necklace. It comes with a stick pendant and a long lariat chain. A metal ring links the chain together while the long stick serves as the pendant. To wear, the stick needs to pass through the metal ring which also serves as the anchor that holds the necklace together. The beautiful item sports a 2.5 x 1.7 x 0.6-inch product dimension and overall, is made for dress up or dress down use. This necklace is great for minimalists. Another crowd favorite, this Sedmart Y Shaped Choker Necklace delivers another elegant and sophisticated design. 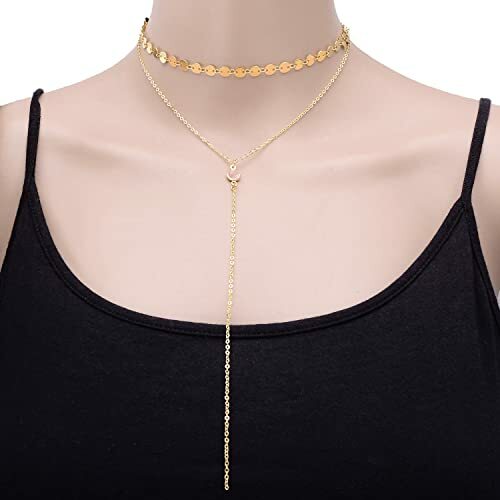 It comes with a 2-tiered chain; the first one being a choker with big circle-shaped designs linked together and another low-lying lariat chain with a diamond in the middle. This necklace comes in two colors, gold and silver, making it fit for whatever occasion. The item comes with a product dimension of 3.8 x 3.8 x 0.4 inches and overall, the necklace is made of copper, resin and alloy. 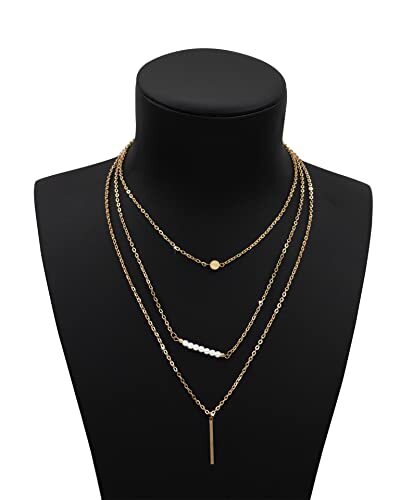 Being a top seller in Amazon, this Benevolence LA 14K Gold Y Necklace has garnered impressed feedback comes from different customers with its beautiful water droplet pendant, giving it an elegant and womanly design that is ideal for both casual and formal occasions. 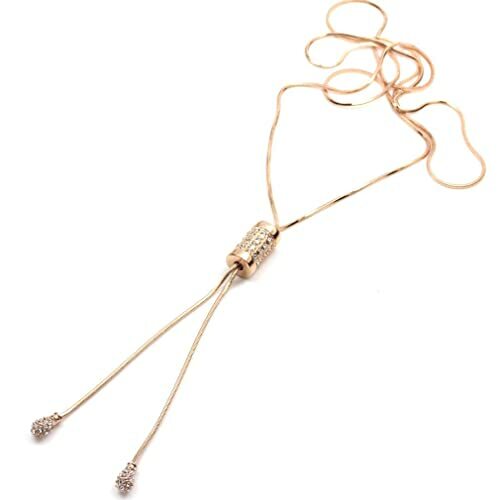 The rope-like chain is 21-inch long and is handcrafted with high-quality stainless steel along with the gold material. Overall, it comes with a product dimension of 3.4 x 2.6 x 1.4 inches and a lobster claw to lock the entire necklace in place. And since the item is nickel-free, it does not cause any form of allergic reaction when worn. Choosing Y shaped necklace is like selecting from a long line of clothes in the supermarket. There are certain qualities you need to look into. Of course, design comes on top of the list. Other noteworthy features that should be taken into great consideration include the material used, durability, quality, and the warranty that comes with the item. It pays to choose a jewelry that is not only suitable for a single occasion, but also for various events as well.